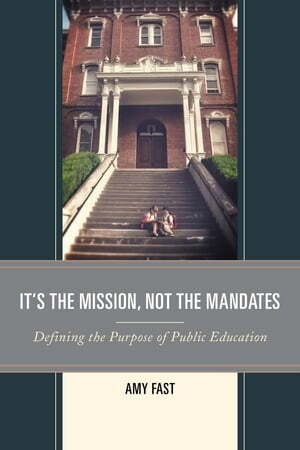 Collins Booksellers - It's the Mission, Not the Mandates by Amy Fast, 9781475823370. Buy this book online. This book invites a conversation among stakeholders of public education and conveys the need for a common vision for America’s public schools. Amy Fast argues that we have never had a clear purpose for our schools and that now, more than ever, educators in America ache for a more inspiring purpose than simply improving results on standardized assessments. Fast asserts how focusing on the mission instead of simply the mandates and measures is how real change occurs. Until we have a common and transparent purpose that serves to inspire those in the trenches of the work, reform in public education will continue to flounder. Through the examination of our past and current priorities for American schools, Fast uncovers a nobler purpose that will intrinsically move educators as well as students to be inspired in their work. In turn, it is this inspiration—not another silver bullet reform—that will lead to meaningful change in society.